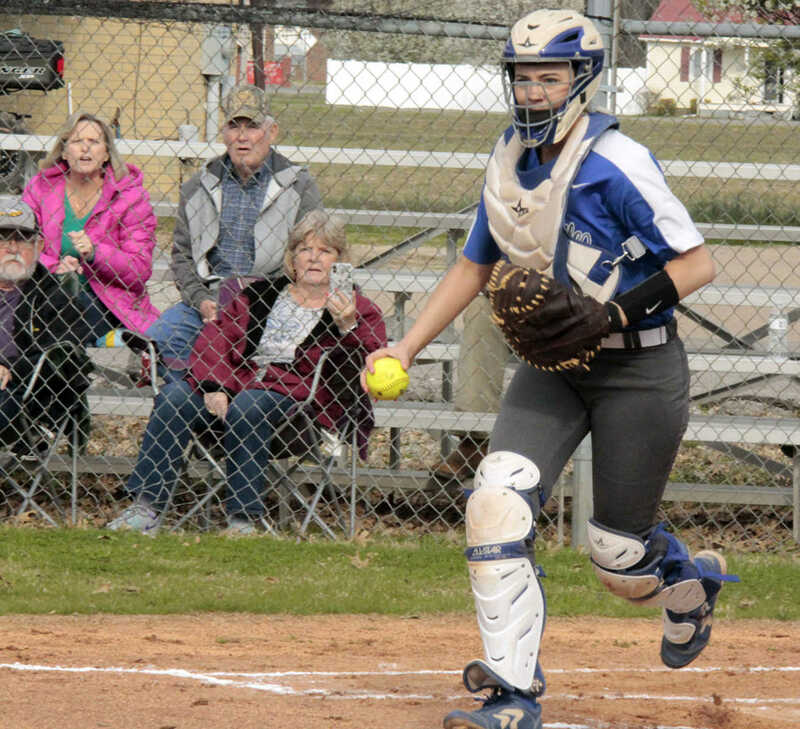 Go ahead, make my day and you're out! 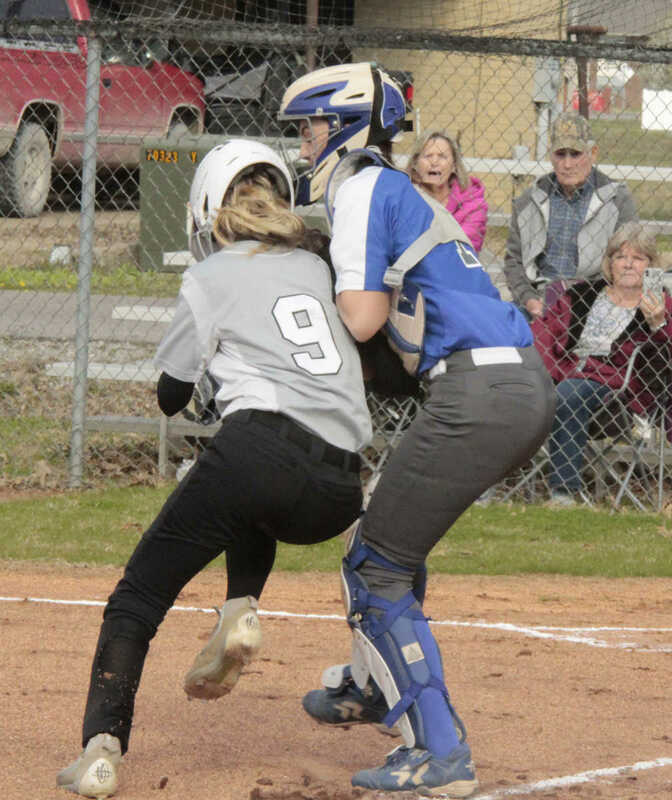 Portageville catcher Cayla Crafton tags an opponent out from tagging home plate. 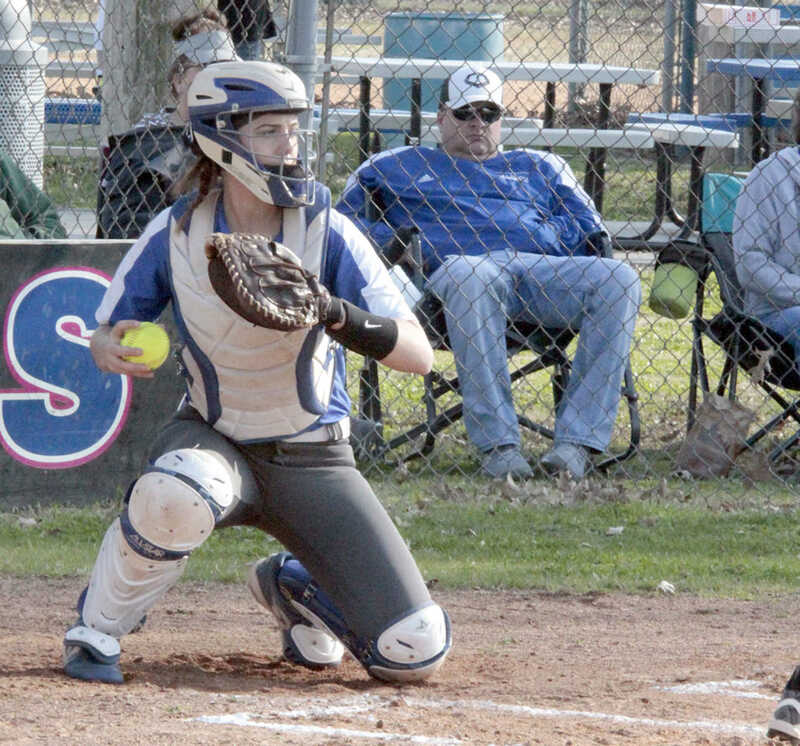 Catcher Crafton preparing to throw to second base. 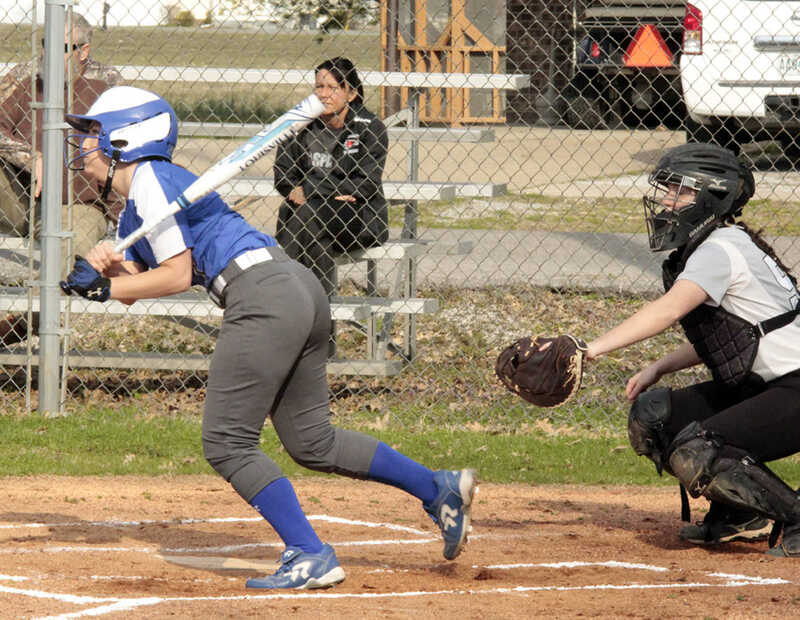 Kelsi Miller connecting to the ball for a centerfield hit during the home game against Naylor. 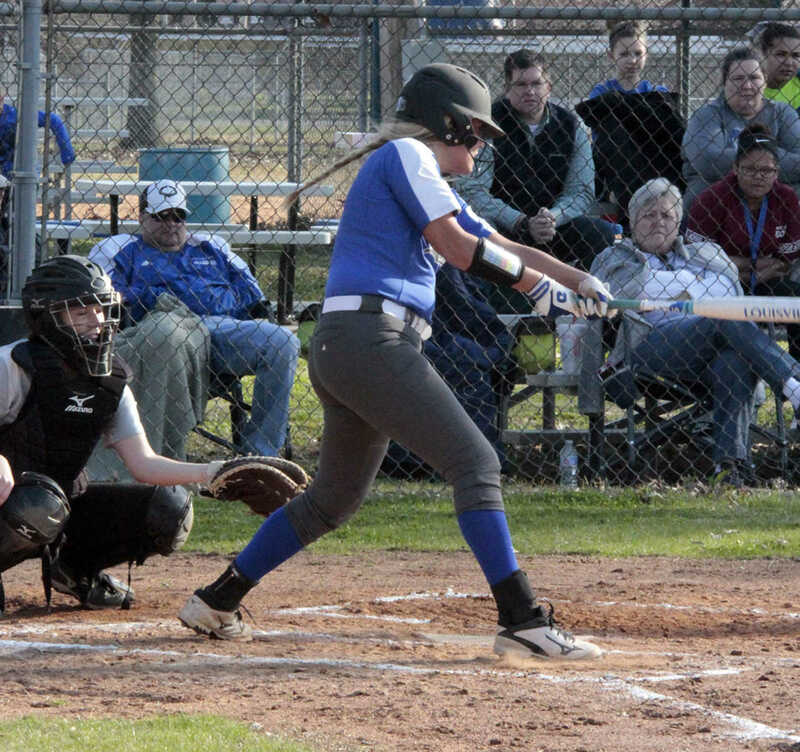 Shelby Rone, first at bat, first hit and first run during the Naylor game. 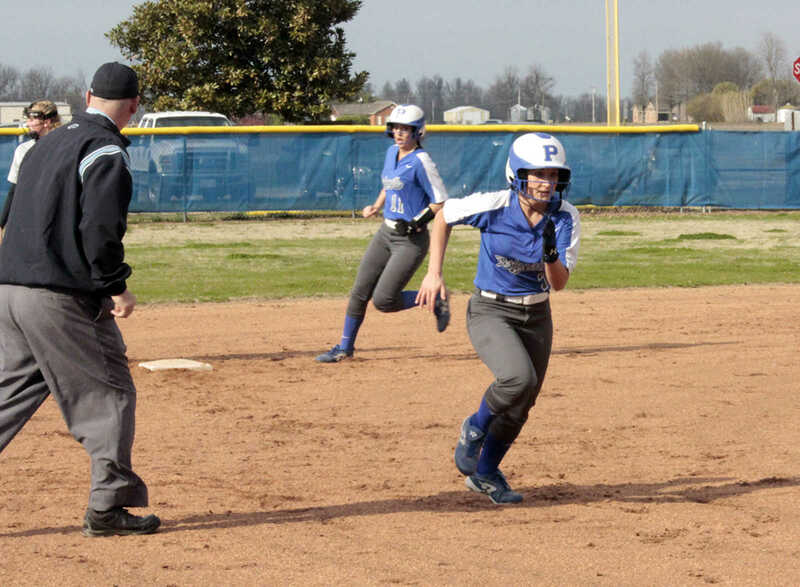 Shelby Rone and Cayla Crafton round the bases for two runs against Naylor recently.